It's kind of funny, when I was a child, I never quite figured out why the Magic Mirror proclaimed to the Evil Queen that he spied three lovelier maidens. 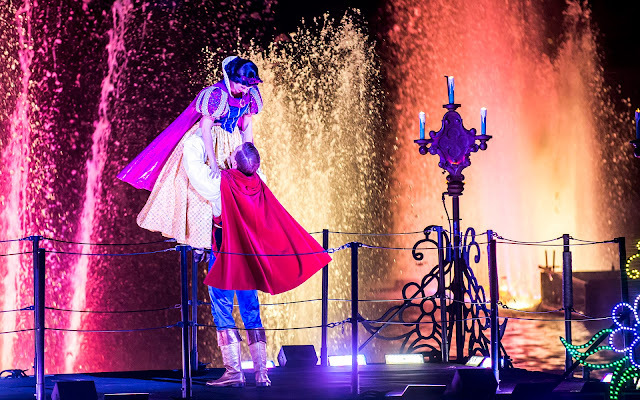 Somehow, I never made the connection that he was referring to the three princesses who had passed by in the previous FANTASMIC! scene, and I thought it was peculiar that he was referencing three random females from the crowd. It totally sounds silly now, but I just never considered that when I was a kid. Ah well. That didn't prevent FANTASMIC! from being my favorite Disney show. Snow White finds that his Prince Charming has come. 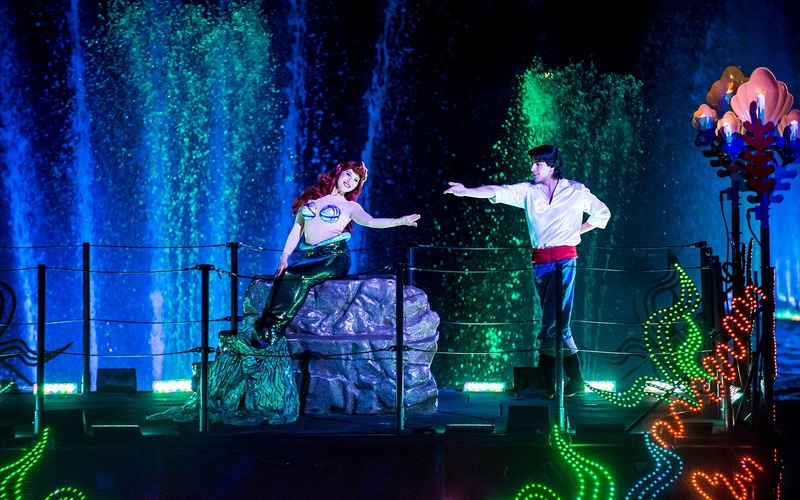 Prince Eric invites Ariel to be a part of his world. 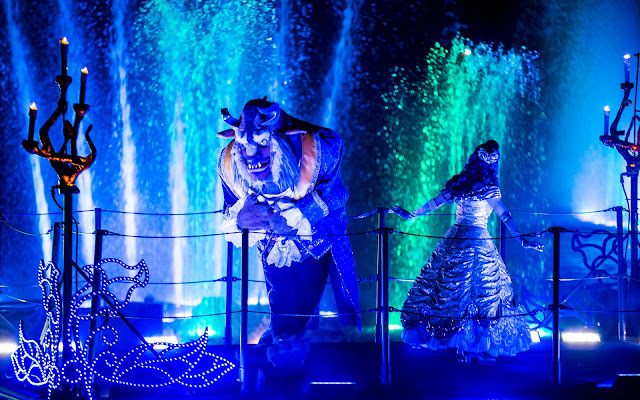 Belle and Beast share a dance in a tale as old as time.